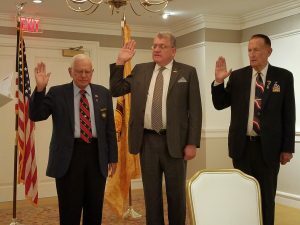 On Thursday, June 14, 2018, the president and chief executive officer of the National Association of American Veterans, Inc. Constance A. Burns, along with other members and special guests, attended the quarterly meeting of the MG Leigh-Wade Chapter of the Military Order of the World Wars held at the Army and Navy Club (A&NC) at 11:30 a.m. The purpose of this meeting was to elect and install new MG Leigh-Wade Chapter MOWW officers for 2018 through 2019. Picture above Lt. 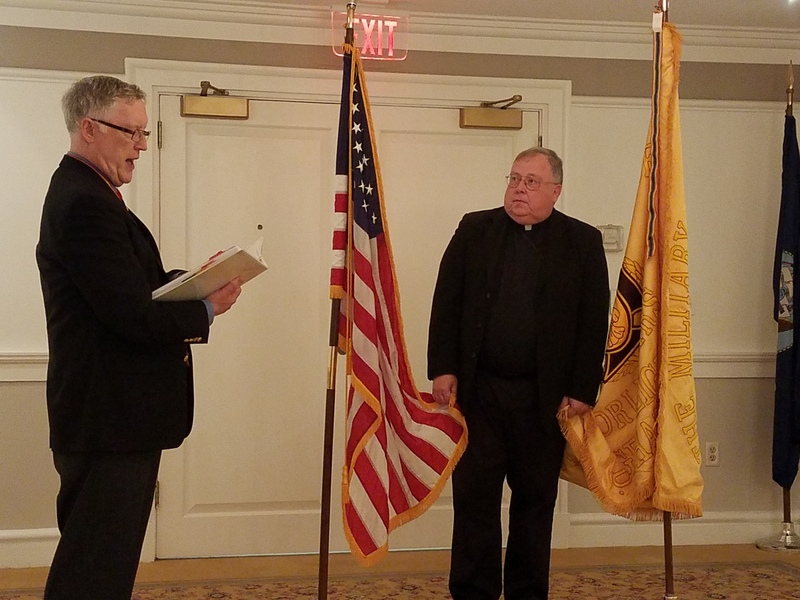 Colonel John H. Hollywood, Vice Commander-in-Chief of the Military Order (r) installing Captain Charles H. Nalls, USN (Ret) (l) as the new Leigh-Wade Chapter Commander. In addition, see other officers completing installation presentations. The Military Order of the World Wars (MOWW) is a premier, patriotic Veteran Service Organization (VSO) centered on the idea embodied in its motto that “it is nobler to serve than to be served.” Founded in 1919, the MOWW promotes and encourages good citizenship, patriotic education, and military and public service. For more information about MOWW Quarterly Meetings and Membership, please contact Col. Douglas Roderick, USAF (Ret), former Chapter Commander, at 843-283-2941 or e-mail: daroderick5@aol.com to confirm your attendance. This entry was posted in Organization News. Bookmark the permalink.